Hosted by the Friends of Cherry Hill Foundation Inc. 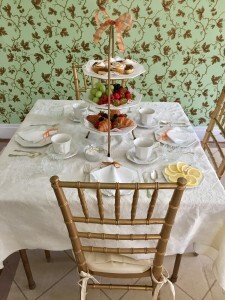 Enjoy a special holiday tea and talk at the historic farmhouse. The house will be decorated in mid-19th century period décor and will include a tree. The talk will be presented by the 1858 mistress of Cherry Hill. As always the tea consists of tea sandwiches, assorted sweets, warm scones and a bottomless cup of tea. Cost is $33 per person. Register online through the City of Falls Church Recreation and Parks Depart or call 703-248-5027 (Registration Code 131501-B).